This standalone hinged door attaches easily to the ENP4280 plastic enclosure with provided screws and extra venting to allow for superior heat dissipation. Purchase during the project trim-out phase to complete installation. 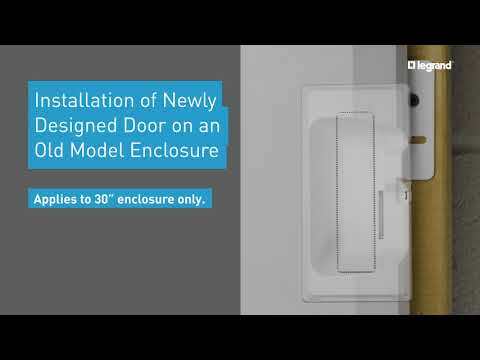 Click here to learn more about the unique features that will save you time and simplify installation. Can I use this over on the 42&quot; metal recessed box? I'm looking for a ventilated cover and the metal box does not have that option and it is already installed. Hello, No this will not work on the metal box. They have their own covers designed to work with them and they are not cross compatible. Thanks.